Do you own a business in Plymouth or its surroundings? Or are you planning to set up your business in this specific area? Being a startup company, we can understand it is not that easy to set up a business. Because, there are lots of legal formalities and complications are there. Hence, so many great business ideas are not able to flourish in the market. So, to start your business in this locality is not that easy. If you want to start your business in this locality and its surroundings then you need advice from any specialist professionals. In that case, we at Miranda Management and Accountancy Services Limited are here to sort out all your problems. If you are looking for accountants or auditors in this area then contact us. Miranda Management and Accountancy Services Limited is a London based accounting service provider firm. We are one of the most popular accounting firms in London. We have our head offices in Richmond and Uxbridge. Now we are present in Plymouth. We have a team of chartered certified accountants. Our accountants are working very hard to meet your demands. 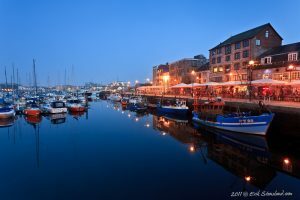 If you want to open a company in Plymouth and need accounting services, do not hesitate to contact our local representatives who can connect you with accountants in Plymouth, while we assist you with the company registration procedure.